NEW YORK, April 11 -- In the first study of the just-released 2009 mortgage lending data, Bronx-based Fair Finance Watch has found that the Big Four survivors of the banking meltdown, Citigroup, Wells Fargo, Bank of America and JPMorgan Chase, continued with high cost loans and had worse disparities by race and ethnicity in denials and higher-cost lending than before 2009, Fair Finance Watch concluded. The just released data show that Citigroup confined African Americans to higher-cost loans above the Federally defined subprime rate spread 2.25 times more frequently than whites, according to Fair Finance Watch. Citigroup confined Latinos to higher-cost loans above the rate spread 1.72 times more frequently than whites, the data show. 2009 is the sixth year in which the data distinguishes which loans are higher cost, over a federally-defined rate spread. JPMorgan Chase was even more disparate to Latinos, confined them to higher-cost loans 1.98 times more frequently than whites, almost as pronounced as its disparity between African-Americans and whites, 2.17. HSBC, perhaps due to its shrinking, some say dying, business had disparities of 2.57 for African Americans and 1.61 for Latinos. 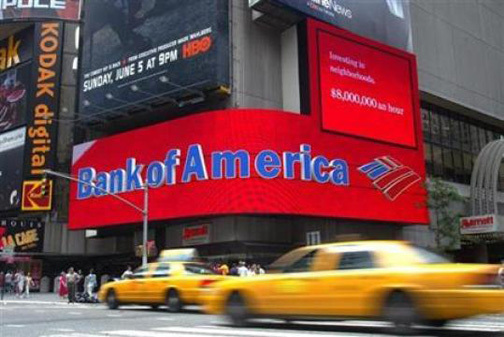 For Bank of America's Countrywide Bank FSB, the disparity for African Americans was 2.11 and for Latinos, 1.95. For Wells Fargo Bank NA, the disparity for African Americans was 2.40 and for Latinos, 2.09. For its subprime affiliate Wells Fargo Funding, the disparities were even worse: African Americans were confirmed to high cost loans four times more frequently than whites. "Call them 'too big to be fair' -- the banks the regulators have favored, allowing emergency takeovers like JPMorgan Chase's of Washington Mutual, Bank of America's of Countrywide and Merrill Lynch, and Wells Fargo's of Wachovia, were the most racially disparate lenders," said Fair Finance Watch. "The regulators did not put any conditions on the mergers or Troubled Assets Relief Program bailouts. As things are going, it will be worse and more disparate in 2010. Global predatory lending seems unlikely to be discussed at the G-20 finance ministers' meeting in Washington later this month. The disparities in the 2009 mortgage data of the big four militate for breaking up these banks." Regional bank BB&T in 2009 confined African Americans to higher-cost loans above the rate spread 1.90 times more frequently than whites, and confined Latinos to higher-cost loans above the rate spread 1.43 times more frequently than whites. U.S. Bancorp in 2009 confined African Americans to higher-cost loans above the rate spread 1.72 times more frequently than whites, and confined Latinos to higher-cost loans above the rate spread 1.71 times more frequently than whites. Regions in 2009 confined African Americans to higher-cost loans above the rate spread 1.68 times more frequently than whites, and confined Latinos to higher-cost loans above the rate spread 1.33 times more frequently than whites. Several lenders, including a large credit union, exhibited disparities denial rate beween African and Latinos compared to whites in 2009. Citigroup, for example, denied applications by African Americans 1.45 times more frequently than whites, while denying Latinos 1.35 times more frequently than whites. JPMorgan Chase denied applications by African Americans 1.54 times more frequently than whites, while denying Latinos 1.41 times more frequently than whites. The Pentagon Federal Credit Union denied applications by African Americans 2.04 times more frequently than whites, while denying Latinos 1.84 times more frequently than whites. The law required that the 2009 data be provided by April 1, following March 1 requests by Fair Finance Watch and Inner City Press. Several banks did not provide their data by the deadline. Trustmark and Bank of Hawaii provided their data at the deadline but only in paper format, on over 2000 pages, so that it could not yet be computer-analyzed. Further studies will follow.